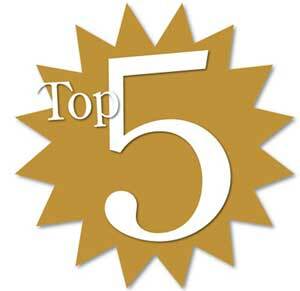 Reader poll: What are your top 5 musicals (stage & screen)? I am extremely flattered to have been asked to write a feature on musicals for culturecritic.co.uk. It will be aimed at ‘beginners’, based around my recommendations for the top 5 must-see musicals. I have a bit of free rein around this format, and am currently planning on a central focus of 5 top stage musicals, with an addendum recommending my top 5 movie musicals. As ever, this is a subject close to my heart and it is very hard to cut down ideas to 5 – there is so much variety and quality out there, and everyone has very different opinions. However, I have a week before I plan to knock together a first draft, and would love to gather as many suggestions – from as many people – as possible first. If you have time, it would be great if you could please add a comment below this post stating your top 5 stage musicals (+ a brief reason). If you also want to add your top 5 film musicals, that would be great too. Please don’t worry if you think they are too obvious/mainstream – every opinion matters and all contributions would be greatly appreciated. You can also leave comments anonymously or request that I don’t publish them for public view. I will then look at all suggestions and consider before compiling my final list. I’m afraid that I can’t promise to include all opinions or credit individuals due to the word limit imposed. Hopefully the debate amongst the comments should keep you all entertained at least! In normal blog news, more reviews are coming up next week – Shrek the Musical & The Lion King (with the possibility of a new review of Thrill Me on its transfer to the Charing Cross theatre). Also, Spring Awakening is booked for June . These are very exciting times for me and the blog. Thanks again for reading – all support is so greatly appreciated. Please continue to spread the word!